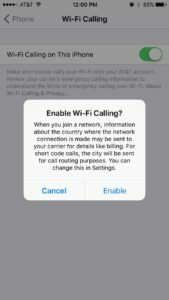 Should I Enable Wi-Fi Calling On My iPhone? Yes! Here's Why. 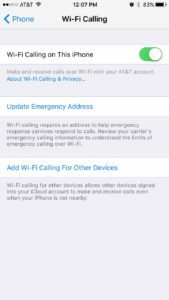 You are at:Home»iPhone»Calling»Should I Enable Wi-Fi Calling On My iPhone? Yes! Here’s Why. You know what Wi-Fi is. You definitely know what calling is. 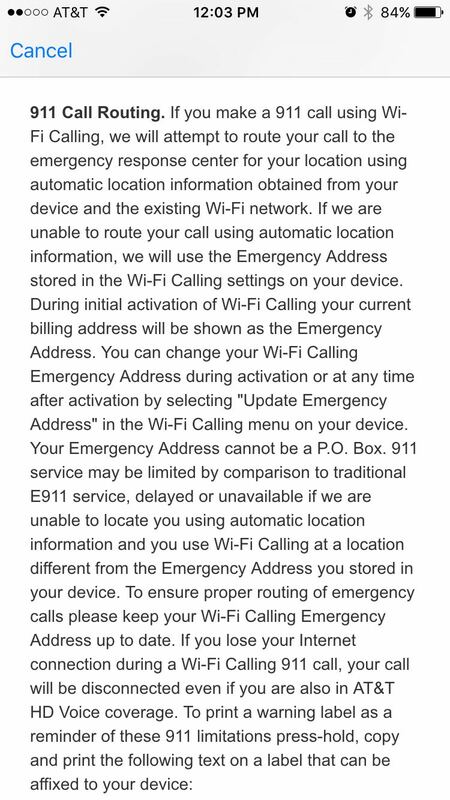 If you’re not sure what Wi-Fi calling is, you’re not alone. 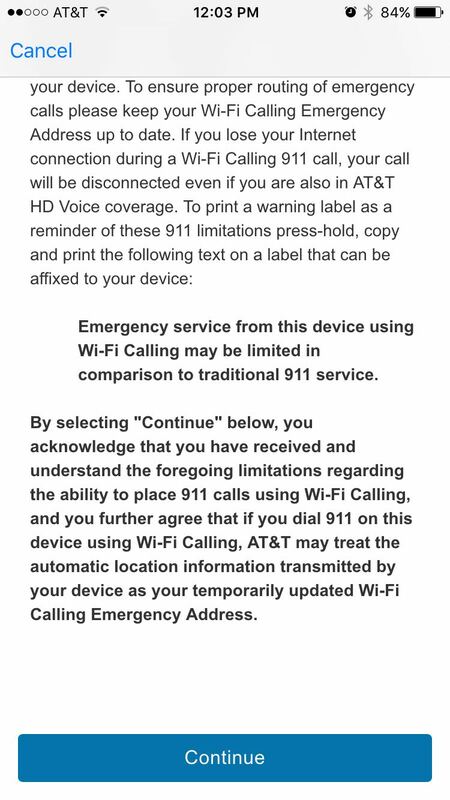 Wi-Fi calling was recently introduced by AT&T, and other carriers will soon be following suit. 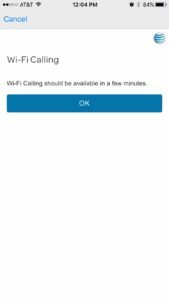 In this article, I’ll explain what Wi-Fi calling is, why I believe you should enable Wi-Fi calling on your iPhone, and some important things to keep in mind as you use Wi-Fi calling moving forward. 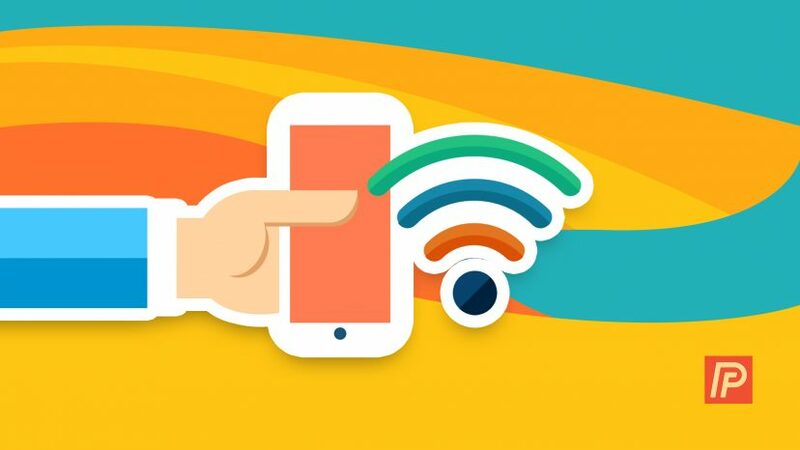 Wi-Fi calling uses your Wi-Fi connection to make phone calls over the internet, instead of the network of cell towers maintained by your wireless carrier. In the next section, I explain the road we took to get from cellular phone calls to Wi-Fi calling, and how much the technology behind phone calls has changed in just a few years. 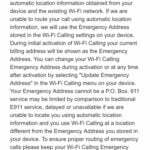 It’s interesting to me, but I won’t be offended if you want to skip right to the section about how to set up Wi-Fi calling on your iPhone. And that’s no longer true. The technology behind making phone calls didn’t change for years because it didn’t have to. People were using more and more data, not making more phone calls, so wireless carriers focused on the quality of the internet connection. Think about it. All of the wireless carrier TV commercials for the last several years have focused around one theme: Faster, more reliable internet. The wireless carriers sell you on what they’re pouring money into. Why didn’t people stop and say, “Hey, the voice quality on my iPhone stinks!” It wasn’t just iPhones – it was every mobile phone. For years, we’ve been streaming CD-quality music on our iPhones. So why do our loved ones’ voices sound like they’re coming through an AM radio? Apple released FaceTime Audio in 2013, which for the first time gave iPhone users the ability to choose how they wanted to make voice-only calls in the Phone app. They could use the network of cell towers (called Voice Call in the Phone app) or use their Wi-Fi or cellular data connection to make phone calls over the internet, a feature that Apple called FaceTime Audio. Apple certainly wasn’t the first one to do this. Skype, Cisco, and plenty of other companies had been using the internet to make high-quality phone calls for years, but none of them could do what Apple did: They put the old technology and the new technology side-by-side, and people were astounded by the difference. Anyone who’s ever made a FaceTime Audio phone call realizes one thing right away: The phone calls sound much better. But FaceTime Audio isn’t without its flaws. It only works between Apple devices, it’s buggy and calls often break up, and it uses your cellular data connection if you’re not on Wi-Fi, which can eat through your cellular data plan. When the iPhone 6 was released, Verizon, AT&T, and other carriers introduced LTE Voice, which represented a fundamental shift in the way we make phone calls. Instead of using the old cellular voice-only bands to make phone calls, iPhones were now capable of using their LTE data connection to make phone calls over the internet. It’s important to note that Apple, AT&T, and Verizon haven’t been able to agree on what to call this technology. Apple calls it Voice over LTE (or VoLTE), AT&T calls it HD Voice, and Verizon calls it either Advanced Calling or HD Voice. No matter which term you see, they all mean the same thing. I remember the first time I spoke with my friend David Brooke using LTE Voice. Again, the difference in call-quality was astounding. He had just purchased a new Samsung Galaxy, and my iPhone 6 was only a few months old. It sounded like we were standing in the same room. And we hadn’t done anything special – it just worked. You may have experienced this too. If the phone calls you make to some people are crystal-clear and others aren’t, now you know why: You’re talking with other people using LTE Voice. LTE voice sounds so much better than traditional cellular technology because it uses the technology that wireless carriers have been upgrading for the last several years: Your iPhone’s connection to the internet. LTE voice came with one major shortcoming: Its lack of coverage. Even though LTE coverage has expanded significantly over the past few years, it is still not as widely-available as 3G and the older data networks. Unless both parties are in area with LTE voice coverage, phone calls connect using the traditional cellular network. LTE Voice, Meet Your New Best Friend: Wi-Fi Calling. Wi-Fi Calling extends the coverage area of LTE Voice by including Wi-Fi networks. Remember, LTE Voice improves call quality by using your iPhone’s internet connection to make phone calls, instead of the traditional cellular voice network. Since Wi-Fi also connects your iPhone to the internet, it’s a logical next step for LTE and Wi-Fi to work together. With Wi-Fi calling turned on, every Wi-Fi network your iPhone connects to acts like a mini cell tower. Wi-Fi calling allows you to make high-quality phone calls to people with LTE data coverage or who are connected to a Wi-Fi network. This is especially good news for people who have poor cellular reception at home. If they have Wi-Fi, they can bypass the cellular network and make phone calls using their Wi-Fi internet connection, as long as the other party is connected to Wi-Fi or LTE, too. In short, Wi-Fi Calling and LTE Voice both use your iPhone’s connection to the internet to make high-quality phone calls – the only difference is how they connect to the internet. 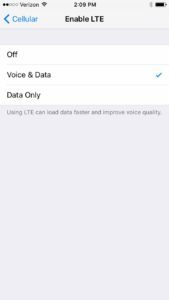 LTE Voice uses your iPhone’s cellular data connection to the internet that you buy from your wireless carrier, and Wi-Fi Calling uses the cable or fiber internet connection you pay for at home or use at Starbucks. 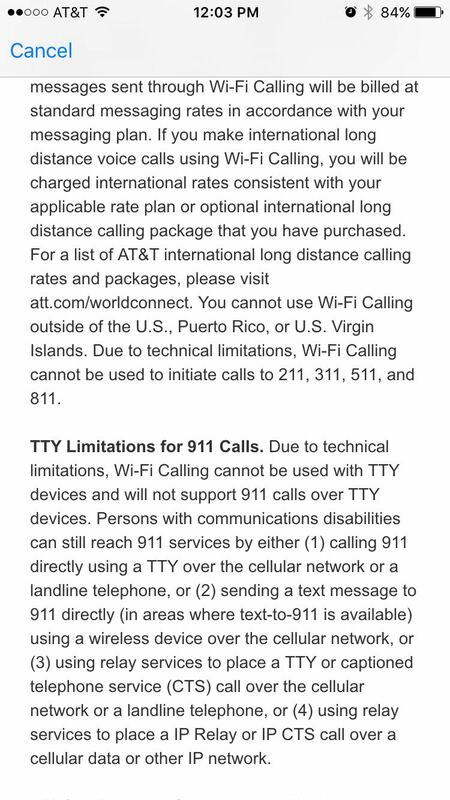 When you connect to any Wi-Fi network, your iPhone sends your location to your wireless carrier so they can charge you international calling rates, even though you’re not using international cell towers. Wait, what? For short code calls (those 4 or 5 digit numbers you can call or text), your location is sent along with the call / text because the company who owns 46645 in the US (GOOGL) might be different than the company who owns 46645 in Lichtenstein. 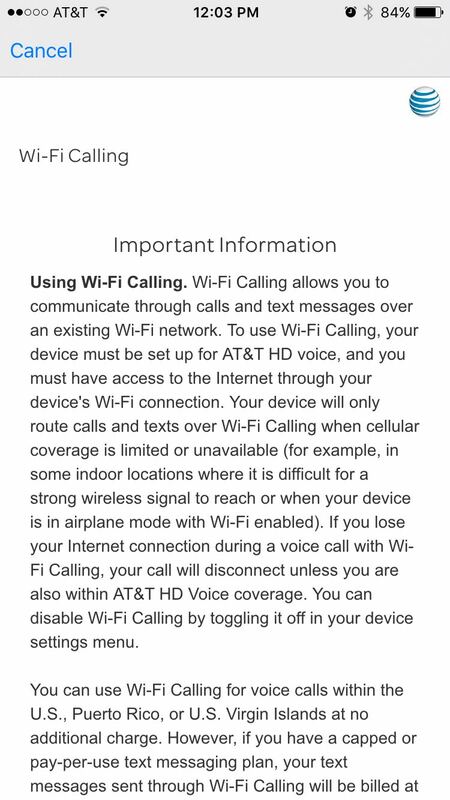 You can also turn on Wi-Fi calling at any time by going to Settings -> Phone -> Wi-Fi Calling and tapping the switch next to Wi-Fi Calling On This iPhone. 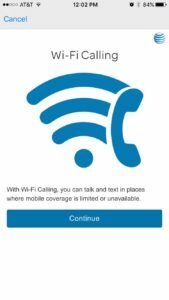 When you set up Wi-Fi calling for the first time, you’ll be greeted by a screen that says, “With Wi-Fi Calling, you can talk and text in places where mobile coverage is limited or unavailable.” Tap Continue. Wi-Fi calling works for voice calls and text messages. 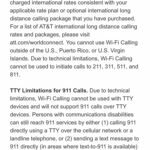 If you’re traveling overseas, you’ll be charged the same international rates for Wi-Fi calling as you would be if you used foreign cellular towers. If you dial 911, your iPhone will try to send your location to the call center using GPS. If GPS isn’t available, the 911 dispatcher will receive the address you choose when you enable Wi-Fi calling. Remember, if your iPhone can send your location using GPS or another form of automatic location services, it will always do that before it sends the address you set here. 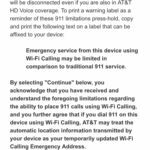 After you finish the section on setting up your 911 Address, you’ll see a message that says “Wi-Fi Calling should be available in a few minutes.” You’re good to go! We talked about a lot in this article. 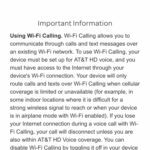 We started by discussing how cellular phone calls evolved into the crystal-clear voice calls of today, and then we dove into how to set up Wi-Fi calling on your iPhone — we even broke down the fine print. I’d love to hear your experiences with setting up Wi-Fi calling on your iPhone. Previous ArticleNew iPhone Headphone Jack: The Design You Haven’t Seen! Next Article My iPhone Notes Have Disappeared! Don’t Worry. The Fix!